Our daily habits have a huge impact on our happiness and success. Habster helps you achieve your goals by creating good habits and breaking bad ones. Habit tracking can be fun too! That’s why Habster uses a unique point-based reward system to help keep you on track. Build a better you with Habster! 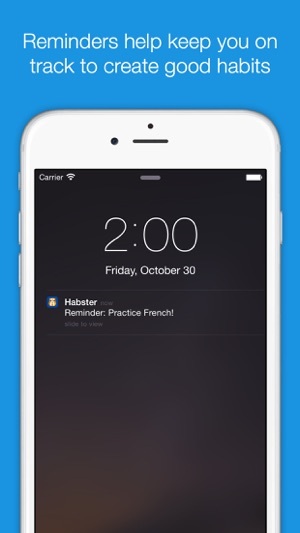 • Habit Reminders - Notification reminders that keep you on track! • Productivity Statistics - Detailed statistics for all of your habits. Beautiful graphs show completion rates over time, so you can easily identify your habit patterns. • Today Widget - Shows all habits that are due today, so you can easily see what you still have to complete. 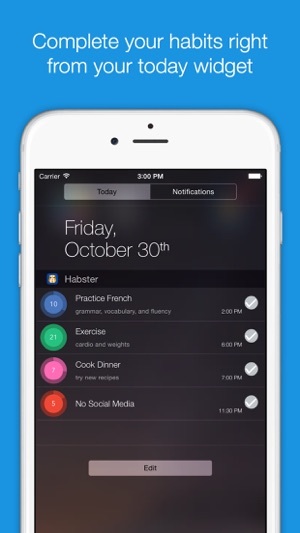 Check off completed habits from the widget without opening the main app. • Daily Notes - Journal style notes that can be added to your habits for any day. Helps you to identify triggers and activities related to your habits. 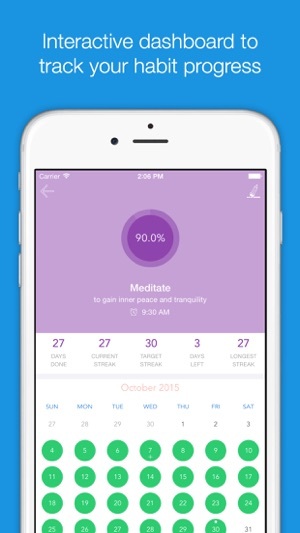 • Habit Streaks - See streaks for your habits to keep you motivated and on track. • Interactive Calendar - View your successful days of building your new habit, see your streaks, and your habit patterns overtime. 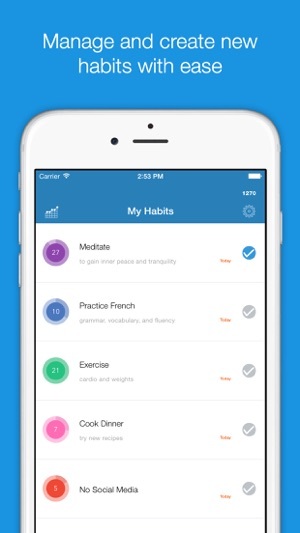 • Customize your Habits - Add colors to quickly identify your habits. • Home Screen Notifications - Check your daily progress with a glance, the app icon badge shows the number of today’s habits you have left to complete. Have goals, routines, chores, or resolutions? Make them a habit today with the Habster App! I've used a lot of habit trackers in my day, I have a horrible memory but this tracker works very well for me. I have a difficult time remembering to take my medication but with this not only do I get notifications but I get the chance to track my progress and reach goals. Since downloading it I've been able to remember to take my own meds on time for the last 11 days which is huge for me! For me it was important that Habster offer specific options for every habit you're tracking & it does! The week goals are customizable along with the color tabs. Of course there's some additional options available once the Pro version is purchased but Habster is a great standalone product and i am incredibly pleased with my choice in downloading this app! 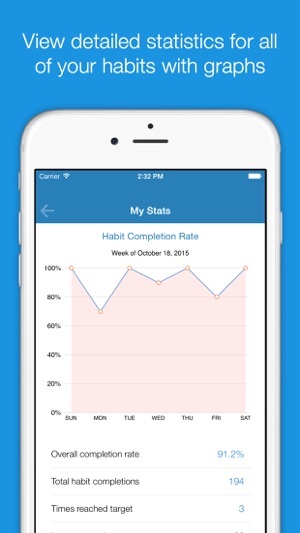 This app makes tracking your habits easier than ever! Really nice user interface that is easy to use and it even has descriptions on how the different functionalities work when you open the app for the first time. 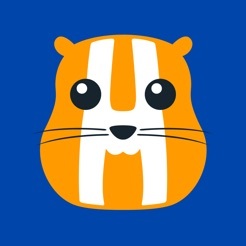 It's a great app overall and even the hamster is cool! The new update brings even more ways to customize your habits which I think is awesome! It lets you do more without having to upgrade to premium which is also a plus! This app just keeps getting better with each update! Habster's new editing feature is a life saver. I used to have to set reminders to remind myself to track my habits before the clock struck midnight. But I would often forget, so I'd set a reminder to check my reminder that reminded me to track my habit. A serious vindaloop ensued... My life became a constant reminder, the notifications were never ending! I was in a downward spiral! But then this update came! Habster was able to provide quality customer service and now with retroactive tracking abilities I can rejoin society! THANK YOU HABSTER!